Sometimes, things just go your way. And on Sunday, Lewis Hamilton was in luck. It hadn’t been his finest weekend up until the final 10 laps of the race. The reigning world champion had insisted Ferrari were “incredibly quick” after practice, and in the race, that proved to be the case. During the middle stint, he lacked pace and lost a place to Sebastian Vettel. But then it all changed after the final stops. Hamilton was more comfortable on the mediums and hunted down Vettel, launching a brilliant move on the brakes to take second. 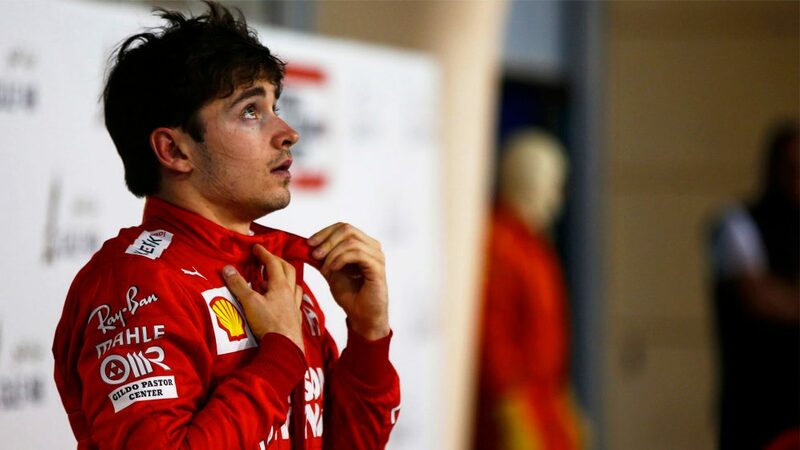 That meant he was in prime position to benefit from Charles Leclerc’s engine disaster, inheriting the lead to secure his first victory of the season, his third in Bahrain and the 74th of his career. Remarkably, it was his 52nd victory in 102 turbo hybrid era races – which incidentally is more than Alain Prost managed in his career. What’s more, Hamilton had the measure of team mate Valtteri Bottas all weekend, a satisfying result following the Finn’s dominant performance in the season opener. Hamilton is just a point shy of Bottas now and will likely feel that order has been restored. The start of the race couldn’t have gone much better for Vettel, the German instantly making up for losing out to team mate Leclerc in qualifying to lead the race into Turn 1. But it was all downhill from there. First he suffered the ignominy of being passed by Leclerc. Then he spun after being overtaken by Hamilton. 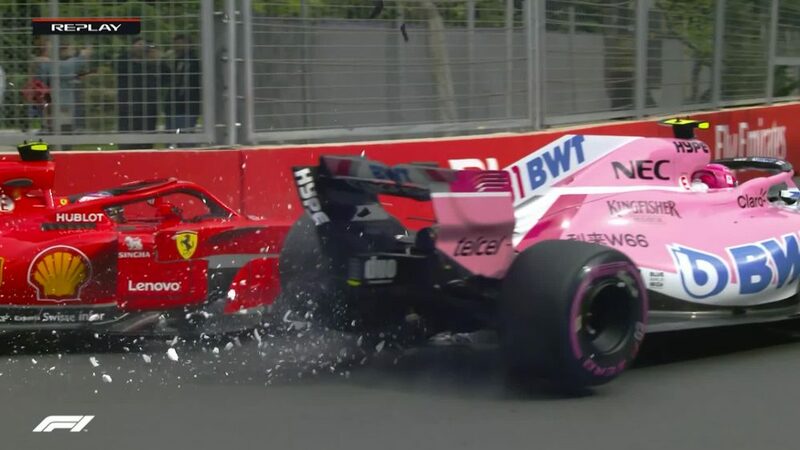 The spin caused a delamination of a tyre, which led to vibrations that caused the front wing to break off in dramatic fashion. 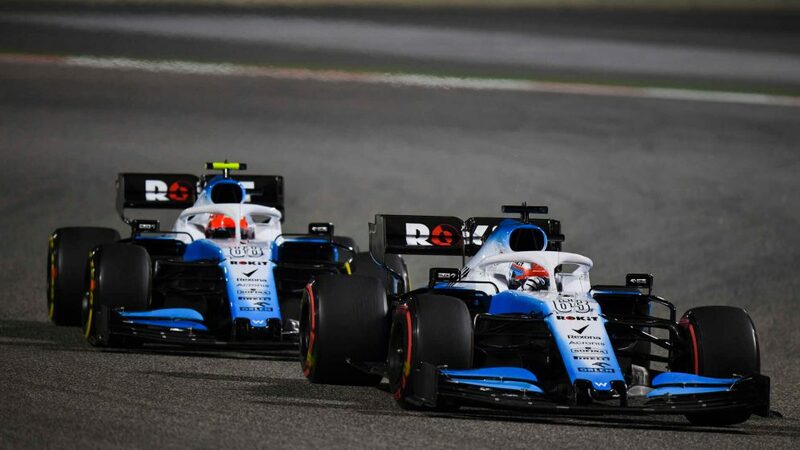 From there, hopes of even a podium were extinguished and he limped home fifth to leave him almost a race win – 22 points – adrift of drivers’ championship leader Bottas after just two races. 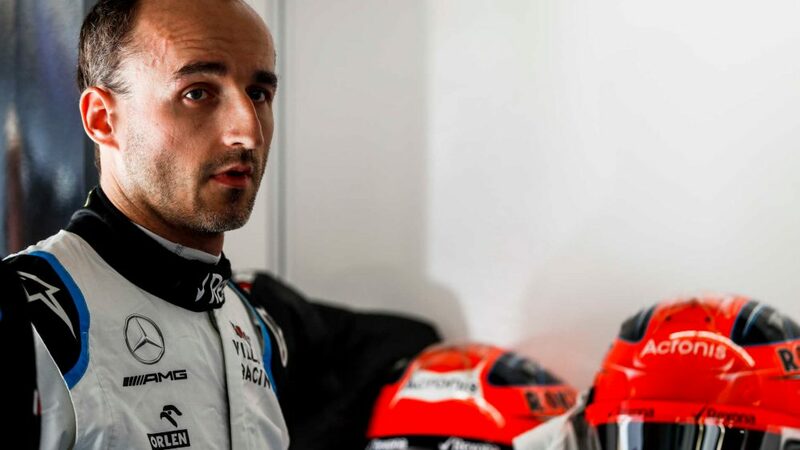 One positive stat is that he is now just one short of leading 100 races in his career, a feat only achieved by Hamilton (130) and Michael Schumacher (142). But that will do little to make him feel better on a weekend where a big points score went begging. After bossing it in Melbourne at the season-opener, Mercedes were hauled back down to earth when F1 arrived in Bahrain, the Silver Arrows seemingly no match for the red cars. They were comfortably beaten in Friday practice and lost out in qualifying, as Ferrari locked out the front row, and for much of the race victory didn’t seem like it was on the cards. A podium looked possible for Hamilton, but Bottas didn’t appear to be a contender. But then the stars aligned as first Vettel spun and suffered front wing damage and then Leclerc suffered engine trouble. That opened the door for Hamilton to seize victory and for Bottas to take second and retain the championship lead, courtesy of the fastest lap bonus point from Australia. 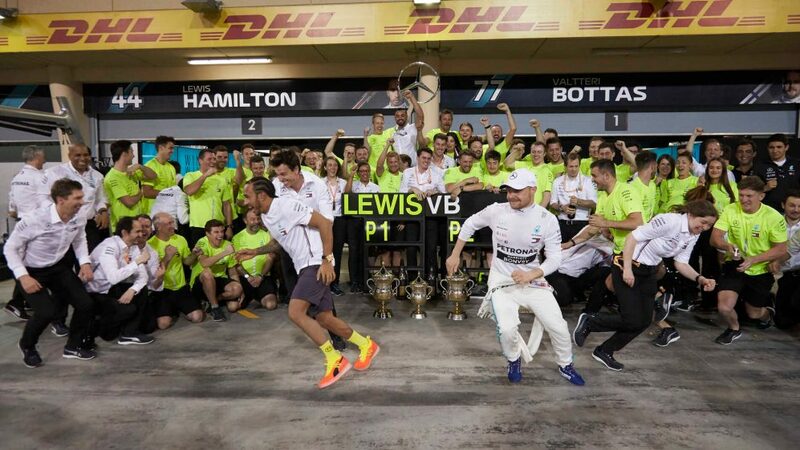 It was Mercedes’ first one-two in Bahrain since 2014 and second on the bounce, moving them 39 points clear of rivals Ferrari in the constructors’ championship. They couldn’t have dreamed of a better start to the 2019 season. Winter testing promised so much, but it’s been a nightmare start to the season for Renault. Despite showing signs they had the pace to lead the midfield at Barcelona, they’ve now failed to trouble Q3 in either qualifying session in 2019, with Nico Hulkenberg suffering the embarrassment of a Q1 elimination in Bahrain. Race day brought brighter times, with Daniel Ricciardo running as high as second at one point before fading while Hulkenberg looked on course to finish sixth. But with three laps to go, both cars retired within seconds, and metres, of each other. The team are still investigating the cause of Hulkenberg’s issue but Ricciardo’s failure was down to an MGU-K problem. Different team, same engine, another power unit failure for the Honey Badger. 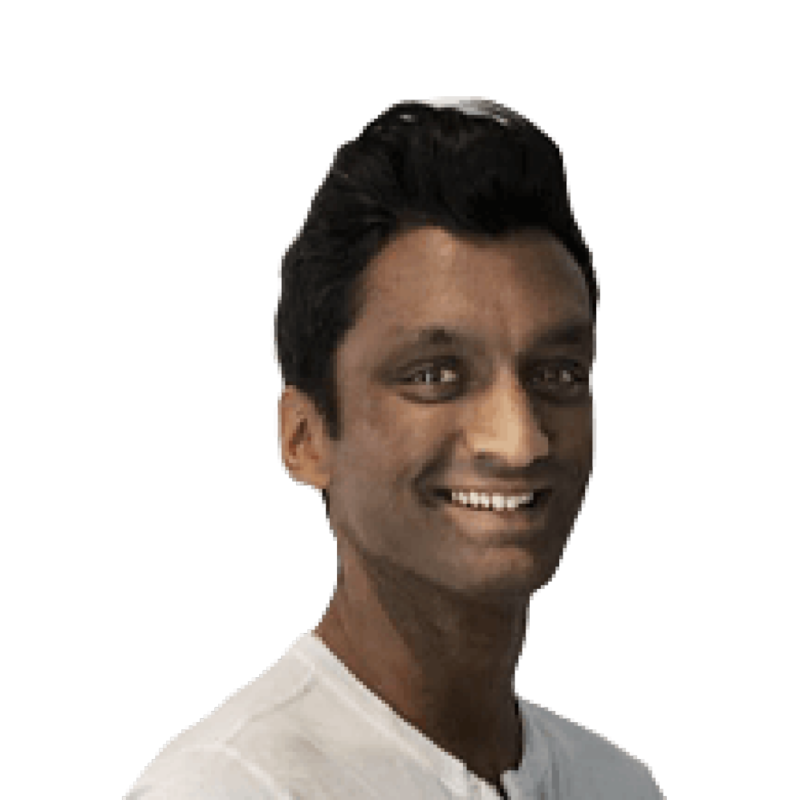 It means Renault have just six points to show for their efforts in this campaign so far, which leaves them seventh in the constructors’ championship, behind midfield rivals Alfa Romeo, McLaren and Haas. As Team Principal Cyril Abiteboul admitted: “It’s been a very bad start to our racing season”. He’s not wrong. The warm desert sun may have been strangely absent on Sunday ahead of the Grand Prix, but that was soon forgotten as the Bahrain International Circuit produced a storming race. 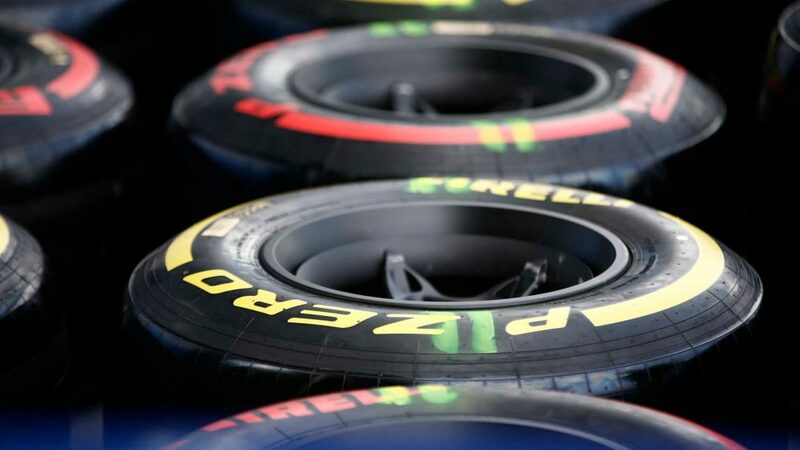 The windy and dusty conditions added to the intrigue while there was more evidence that the 2019 aerodynamic regulations have improved the racing by allowing the cars to follow more closely. There was exciting racing throughout the event, all the way down the field, with passes for the lead, the podium places and the lower end of the points. Even the Williams were battling at the back of the pack. This was a race that Formula 1 could be proud of. It was all going so well. Leclerc had looked good all weekend and utterly dominated qualifying. And he responded to a bad start by keeping his head and re-passing team mate Vettel for the lead. Victory, which would have made him the third youngest driver to win a Grand Prix, looked to be his, only for a loss of power, because of a cylinder failure, to rob of him of victory. 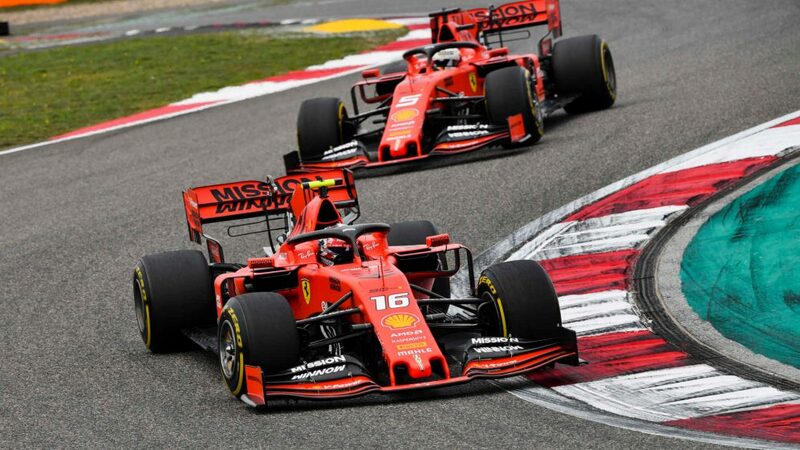 It should have been a stunning end to what had been an extraordinary weekend, in what was only his second race for Ferrari in his second year in F1. But as he said himself, “these things happen”. Leclerc will have been hurting last night, having a first victory cruelly taken away through no fault of his own. But when the dust settles, he can reflect on a weekend that supported the hype that has surrounded him since his debut with Sauber last year. Securing a pole position was a fine achievement – a certain Max Verstappen has yet to conquer that goal – and the way he dealt with the pressure throughout the weekend was impressive. He also ticked off another goal – a first F1 podium, becoming the 50th man to lead a race in a Ferrari. And most importantly, he proved that it’s a matter of when and how many, rather than if, he will win races. After the misery of Australia, things were looking up for Carlos Sainz when he made it into Q3 and out-qualified his McLaren team mate Lando Norris in Bahrain. His start was electric, allowing him to jump Haas’ Kevin Magnussen to run sixth. From there, he had the pace to attack Red Bull’s Max Verstappen and even said he felt like he was “faster than the Mercedes” ahead. 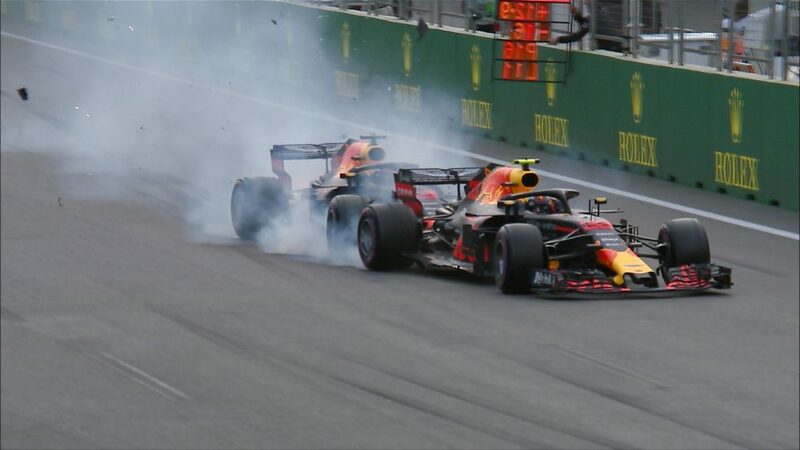 But he made contact with Verstappen when attempting a pass around the outside of the Red Bull, which caused a puncture to his front-right tyre. He limped back to the pits and rejoined dead last. He continued, but ultimately retired the car in the closing stages. “I am still really angry about the whole situation, about having such a strong car and still not getting any points for the team,” he said. “I had a Racing Point throwing fire into my face”. 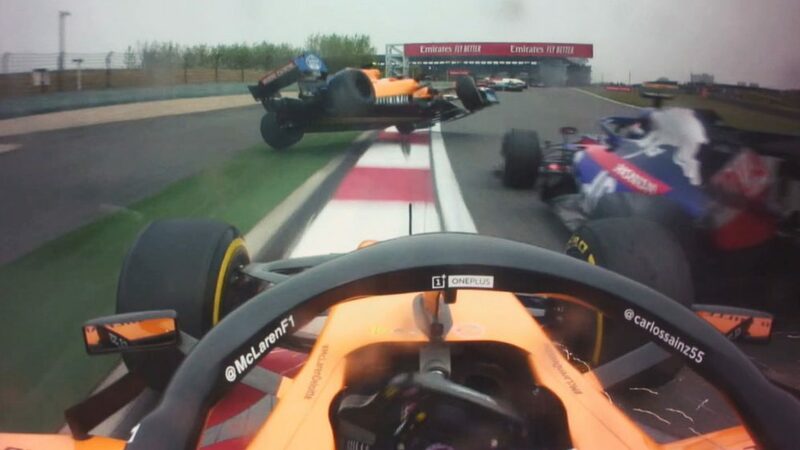 Understandably, that’s not what Alexander Albon expected to encounter in what was only his second Grand Prix. 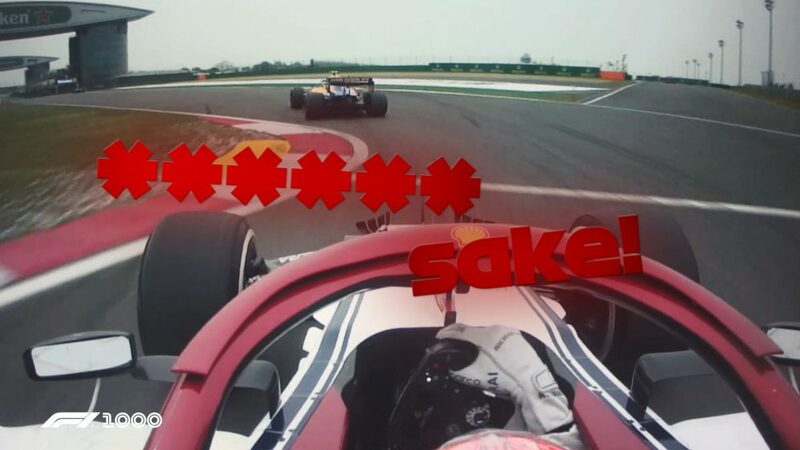 The Toro Rosso driver was referring to the sparks created by Lance Stroll, who had damaged his car after contact with Romain Grosjean. Albon stayed clear of the melee to run just outside of the top 10. He then benefitted from the two Renaults retiring to rise up to ninth, just one place behind Gasly in the senior Red Bull team, to score the first points of his career and the first for a Thai driver since Prince Bira finished fourth in the 1954 French Grand Prix. Not bad for a rookie. This has been quite the start to an F1 career for Lando Norris. He followed up his Q3 appearance in Australia with another in Bahrain, but this time, he converted into points with a stunning sixth place. The British rookie got a good launch, but then picked up some wheelspin. He then got blocked heading into Turn 1 and then made contact with another car as the field closed up, forcing him off track and down several places to 14th. But his McLaren showed tremendous pace in the desert and Norris put it to good use as he climbed up as high as fifth. He ultimately crossed the line sixth, in what was his second race, just as Jenson Button did for Williams in the 2000 Brazilian Grand Prix. It was also McLaren’s best finish in over a year (Fernando Alonso finished fifth in the season-opening 2018 Australian Grand Prix) and places him a sensational seventh in the drivers’ standings. A fine start to life in F1. 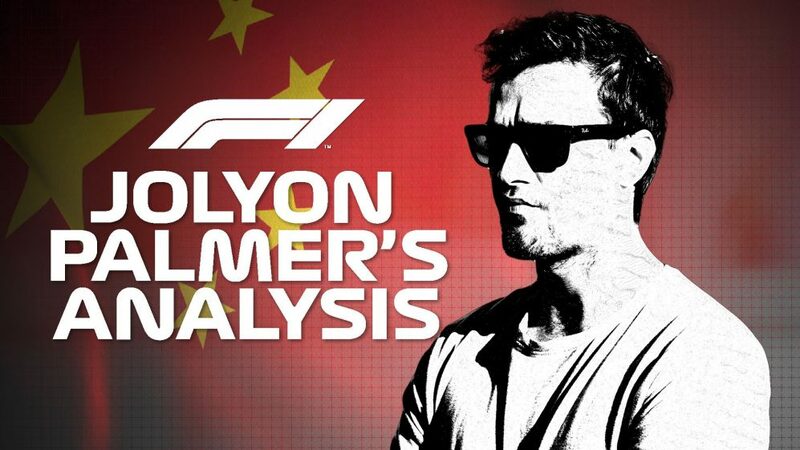 The start of the 2019 campaign is beginning to look a lot like the 2018 one for Romain Grosjean. That’s not a good thing, given that the Frenchman didn’t score a point till July last year. And after two races in 2019, he’s still point-less. He qualified eighth, but started 11th courtesy of a three-place grid penalty for impeding Lando Norris in qualifying. That meant he was in the thick of it at the start and his race was effectively over on the first lap, when he was clipped by Stroll and picked up a puncture. 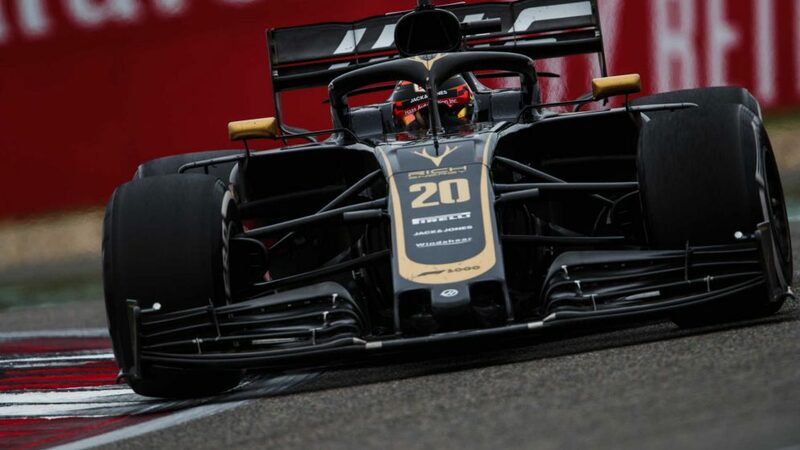 Though he recovered to the pits and got back out, Grosjean was forced into retirement after just 16 laps with floor damage. A sad end to a weekend that promised so much.